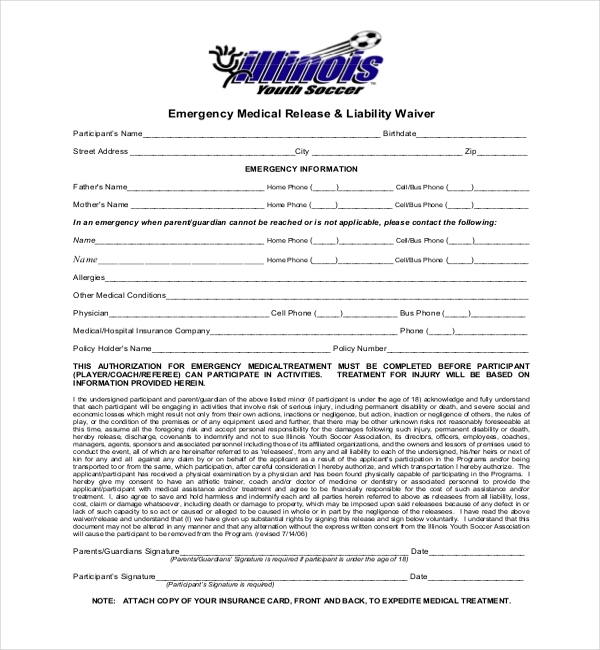 Use of these forms is mandatory by club and/or league, in today’s climate of liability action and insurance claims. If one is traveling and an athlete needs medical attention, information provided in this form can help an attending physician. 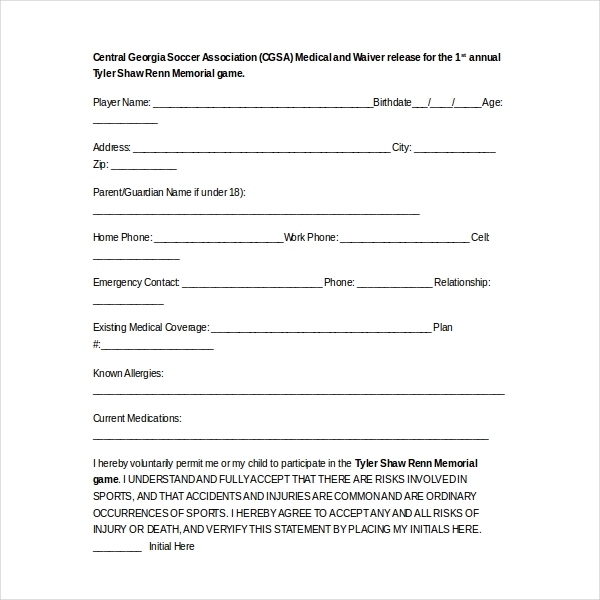 Club administrator’s sign is mandatory in this form with the one attached to the membership card. 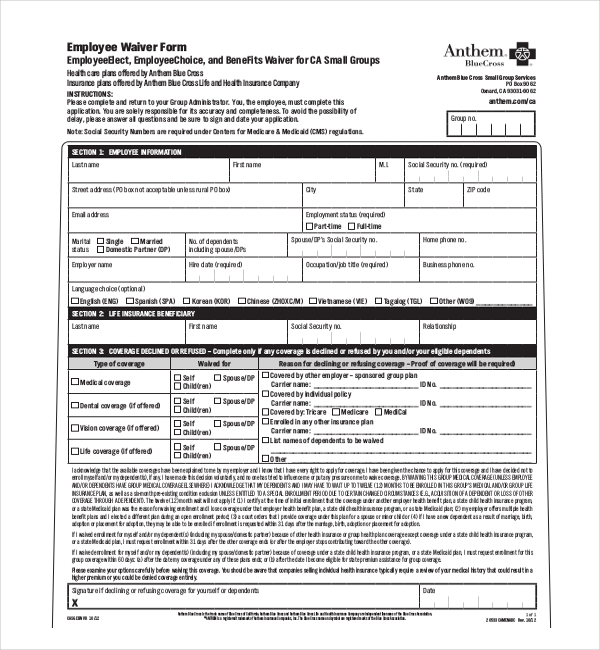 Using this form, the person is giving an opportunity to apply for coverage for the eligible dependents and declining enrollment for the eligible dependents due to other health insurance or group health plan coverage. They must understand that if they have any newly eligible dependent, they will be able to enroll them. 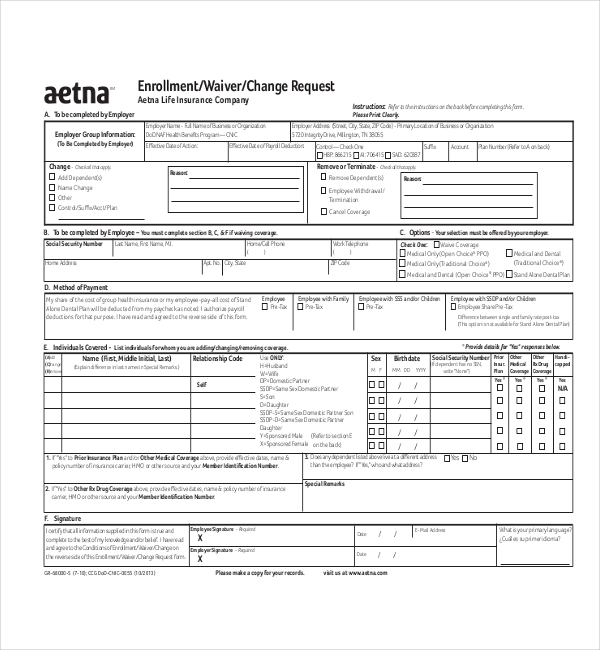 Using this form, the person acknowledges that they are enrolling in Aetna plan coverage, underwritten or administered by Aetna Life Insurance Company. The person is, further, authorizing deductions from their earnings for any contributions needed for coverage. The person agrees to make any necessary payments as and when needed for coverage. Using this form, parents acknowledge that recreational activities have inherent, unforeseeable and foreseeable risks, dangers and hazards that may cause injury or property damage. 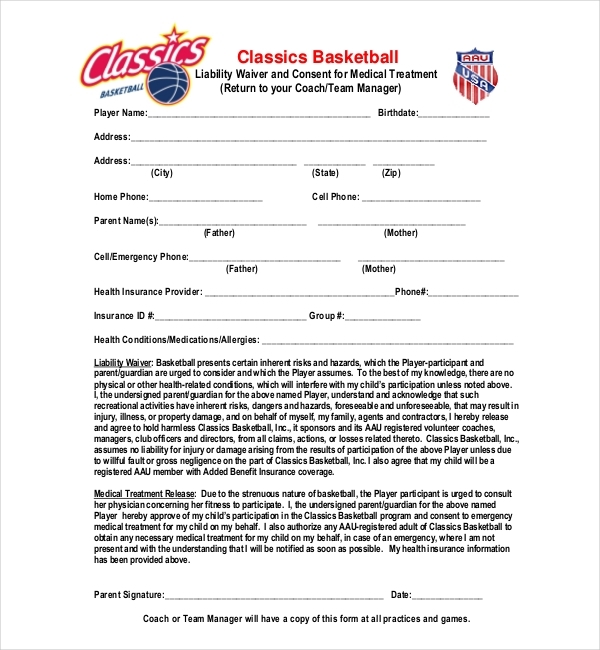 They agree that Classics Basketball, Inc., has no liability for such loss arising from player’s participation unless due to willful fault or gross negligence of Classics Basketball, Inc. 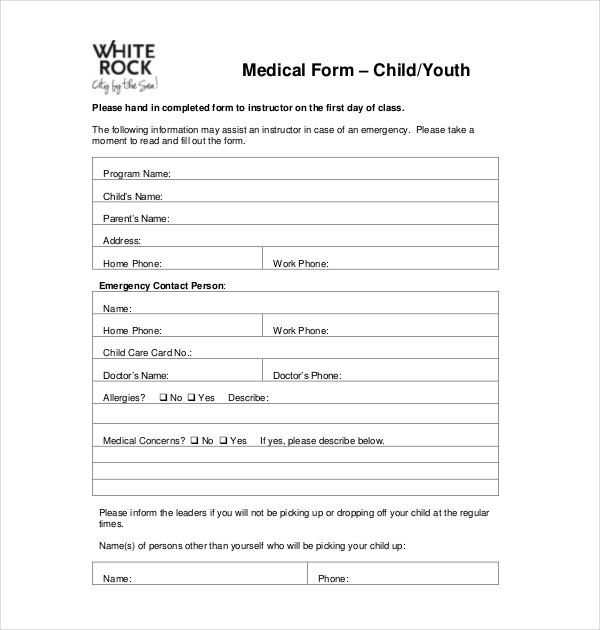 Using this form, the parents agree that their child intends to use some activities and programs provided by White Rock Recreation and Culture. They must understand that everyone has different capacities for participating in those activities and programs. They should be aware that all activities and programs provided are educational, recreational, or self-directed. Information provided in this form can help to assign appropriate activity to the participant and also in determining if their condition will enable them participate or successfully complete 32 or 35 hours of every week’s training requirements. They are helping evaluate participant’s mental and physical condition which can affect ability to participate in training program. 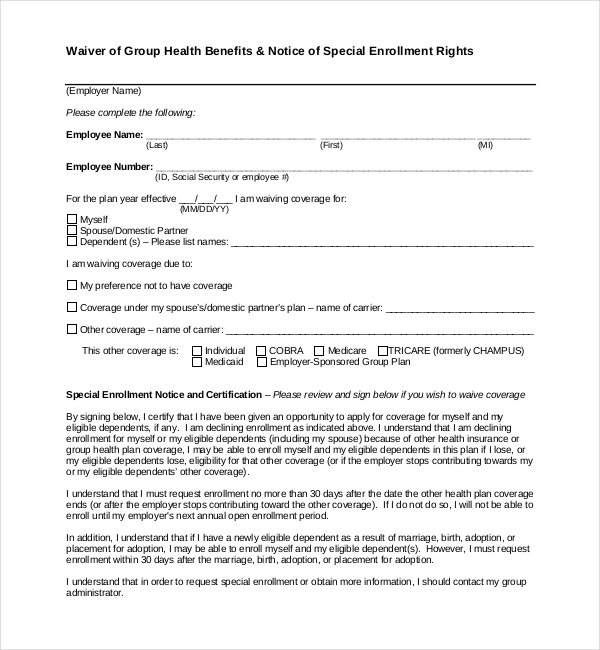 Using this form, the employee agrees that the available coverage have been explained by their employer and they have every right to apply for coverage. They also agree that they got the chance to apply for coverage and they decided, voluntarily without any pressure, not to enroll any eligible dependent. Using this form, the parents acknowledge that participants are engaging in risky activities that can cause permanent disability, or death which might be caused from their own or other person’s actions or negligence. They are required to give consent to have a trainer, doctor or associated personnel to give medical assistance. Using this form, the person understands that their participation in any exercise may heighten the risk of injury. They person also agrees that level of participation in exercise program and choice of exercises performed will be determined by them. They also agree that instructor is not responsible for intensity of their participation. 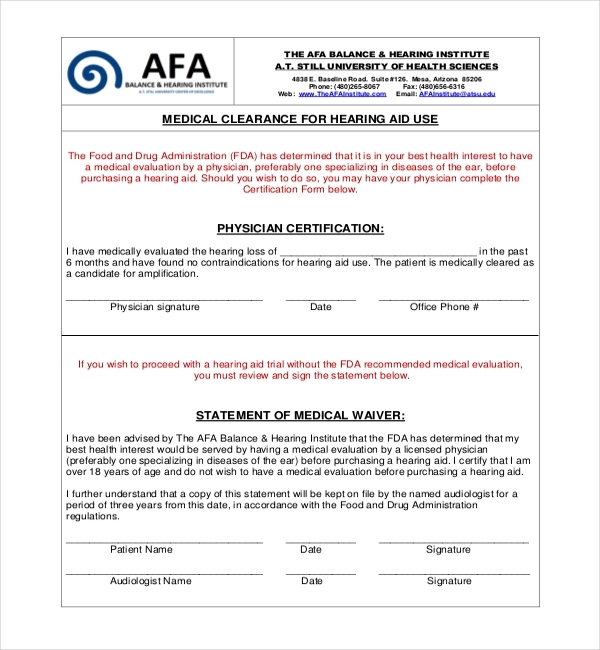 Using this form, patient agrees they have medically evaluated hearing loss in past 6 months. They agree they have not found any contraindications for hearing aid use and have medically cleared as candidate for amplification. 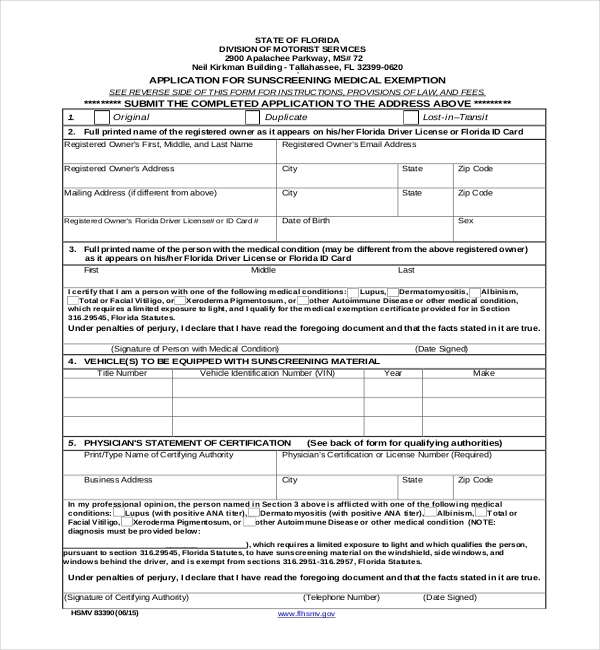 In case, they wish to proceed, without FDA suggested medical evaluation, they can review and sign statement in this form. 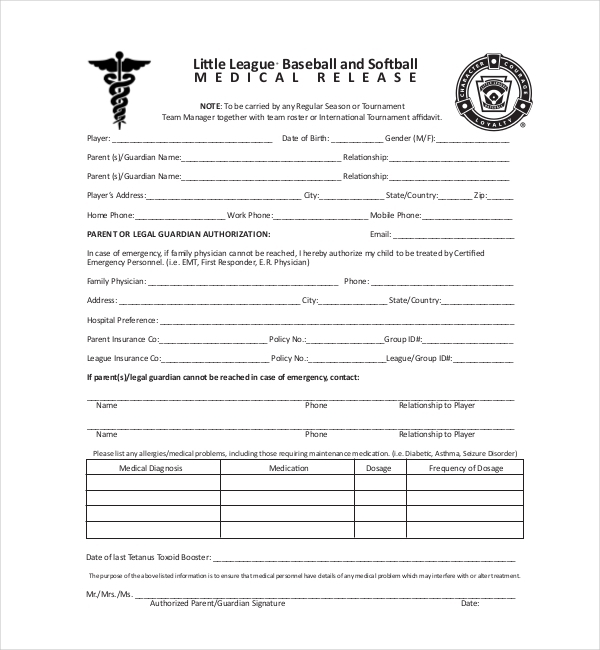 Using this form, the parents provide all the essential information about player, themselves and the family physician. They, further, authorizes Certified Emergency Personal (including EMT, First Responder, E.R. Physician) to treat their child in case of emergency in which family physician can’t reach. They are also required to provide contact details of other close people. Joining military is unlike joining other organizations. And application process is unlike any other job application process. Before one can join military, they need to fill out dozens of forms and documents, including their health history and background check. 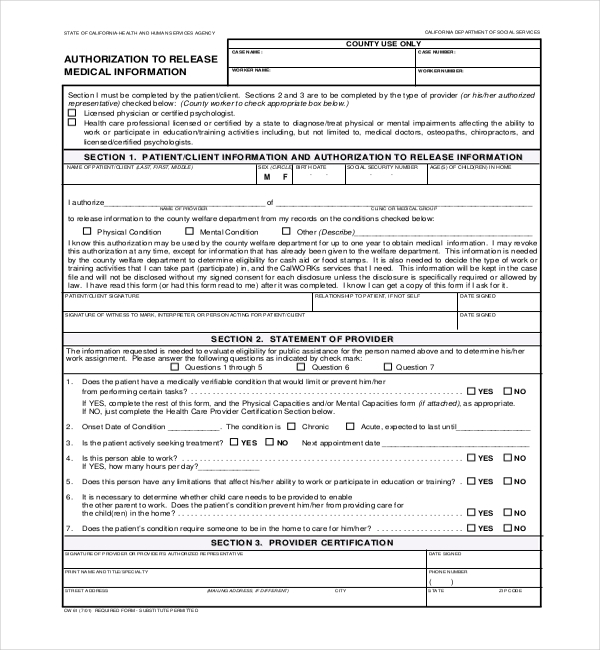 Using this form, they and their physician are required to evaluate medical condition they are suffering. 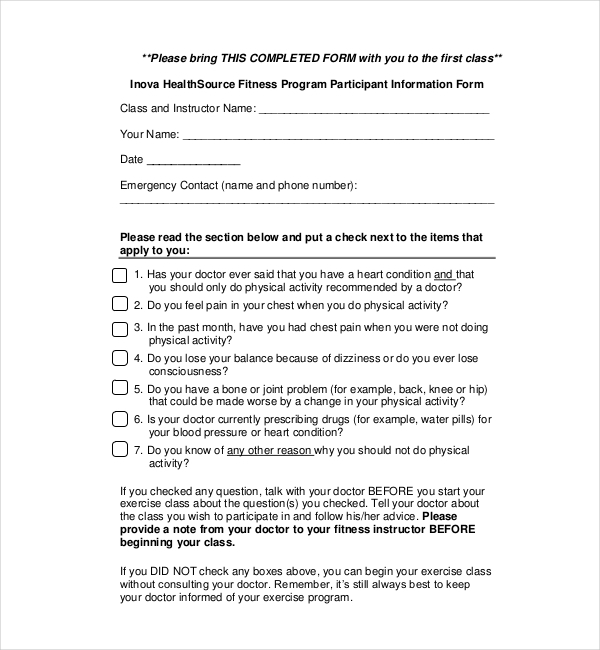 Using this form, the person agrees they are voluntarily engaging in physical exercise, class, or activity at their own risk and are aware about risk of injury or illness. They agree to release and discharge their trainer from any and all known or unknown claims or causes of action arising out of their own negligence. Using this form, they state that they have no medical condition or impairment that can inhibit their safe and active participation in the activity. They agree some activities are hazardous in nature and include physical and strenuous activity. Additionally, they understand that any applicable medical insurance must be given individually by the participants. Using this form, the person agrees there are risks involved in every sport and injuries and accidents are ordinary and common occurrences. They agree to accept any risk of injury and death by signing in this form. They are also required to provide some vital information like known allergies, current medication and existing medical coverage. This form is used by the physician or parents to give consent on the player’s participation in the risky activities. The health results should be used to improve the effectiveness of the athlete. This form is used to explain the strengths and weaknesses of the athlete/child/employee. The physician can explain the ways they can improve. They have to rate the athlete’s overall mental and health condition. 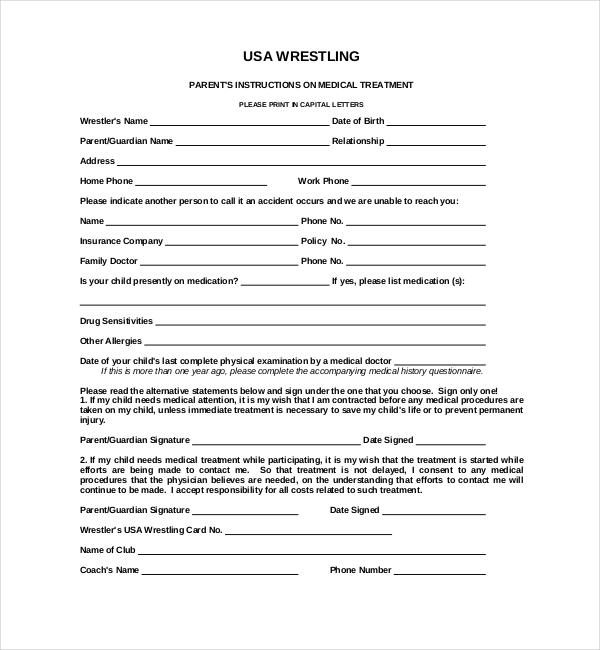 These forms are for any athlete or trainer to get feedback from the physician about the health of the performer. It helps determine goals and objectives of the sports athlete which will help them determine which methods to use. The athlete might learn the process of completing performing faster in future using a technique suggested by the trainer who is confident about their health. These forms are for the trainers who work in large, motivated and energized sports groups. Responsibility for sports career enhancement rests with the athlete; however, the trainer can make a huge difference in the success by providing a supporting and trusting climate. Athlete might create better understanding about their fitness and sports organization and demonstrate confidence. They might develop confidence in their sports performance by learning new skills. Using this form, the trainer should give the athlete the assistance vital for his or her success on the sports. The purpose of evaluating the athlete’s health is to know their physical and emotional strengths. The trainer has to explain whether the athlete should perform or not. The trainer can guide and help athletes using this form in preparing for their sports career by challenging them and giving realistic information. The strength of an athlete noted in this form, can be used for their benefit. 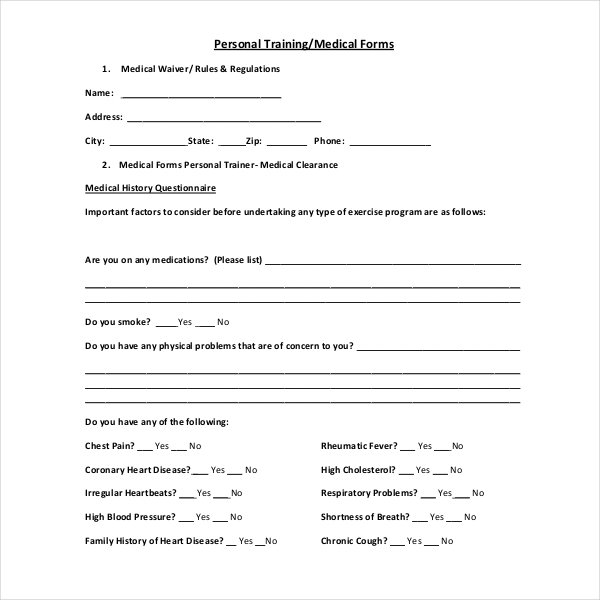 The Medical waiver form helps supervisor and trainers to gain knowledge about their trainee’s health. It is also the place from which they gain confidence that they won’t be wrongly blamed if a person get injured because of their own fault. In this process, the athletes or employee might get extra responsibilities for learning.